Vegetarian barbecue chicken wing pizza recipe made with Gardein bbq chicken wings, mozzarella cheese, and red bell peppers. This is a particularly hearty pizza recipe that will satisfy your cravings for meat. 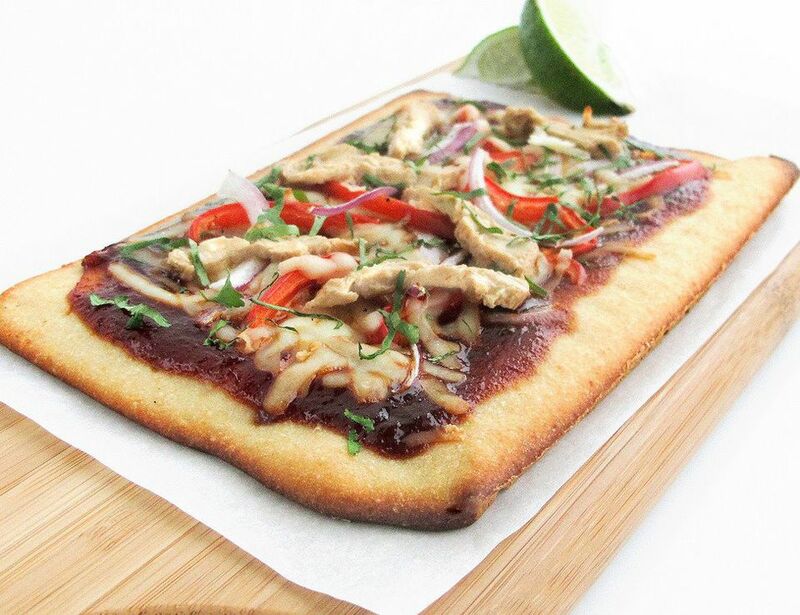 Soon, instead of meat, you'll be craving this vegetarian barbecue "chicken" wing pizza! Use vegan cheese to keep this pizza recipe vegan. Thaw gardein vegetarian chicken wings and cut into 1/4-inch strips. Spead barbecue sauce on pizza crust and top with red onion, red pepper, mozzarella cheese and sliced barbecue chicken wings. Bake pizza for 10-15 minutes, or until cheese has melted and crust is golden brown and crispy. Garnish with fresh ground black pepper, fresh chopped cilantro, and lime wedge.